being little • bristol uk fashion & lifestyle blog. 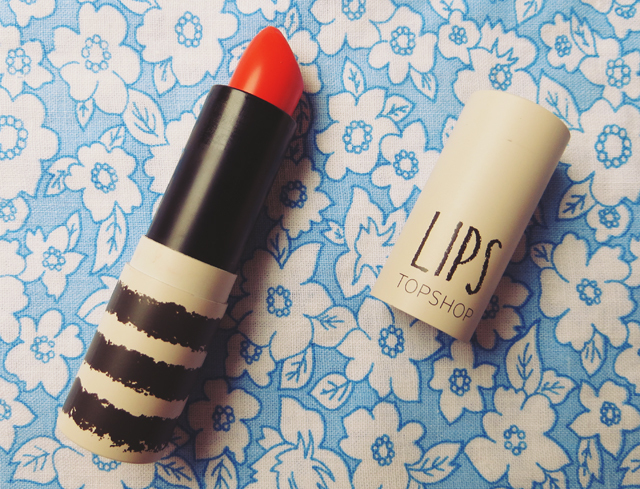 : topshop infrared lipstick. It's slightly more orange, and a little less opaque than my old favourite, but that makes me like it more. The Collection 2000 one was quite drying, whereas the Topshop one feels smooth and creamy.. that does make it smudge a little easier, but I think I can deal with that. I also love that the orange tones make my eyes look even more blue, which is never a bad thing in my opinion! And gives a nice bit of colour to these grey, autumnal days. I might have to stock up on this badboy, just in case they discontinue it! 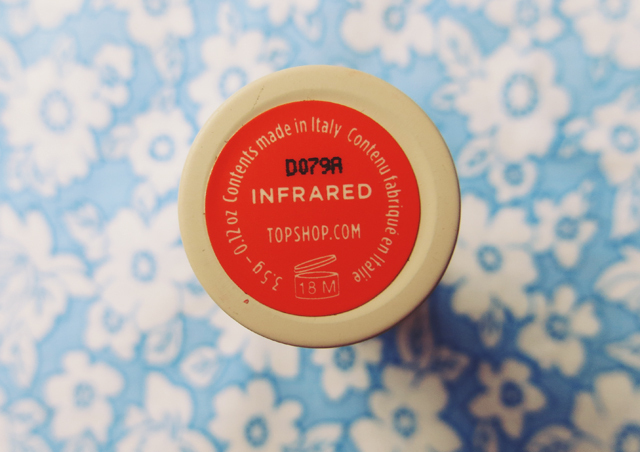 Topshop Lips in Infrared, £8. 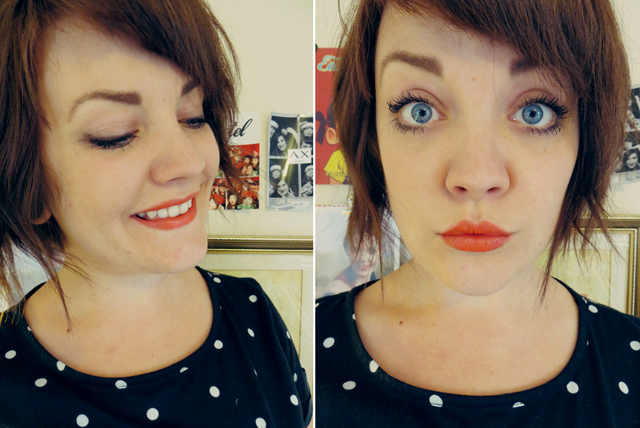 Silly faces to demonstrate the colour on my lips. This really is such a pretty colour with your skintone! 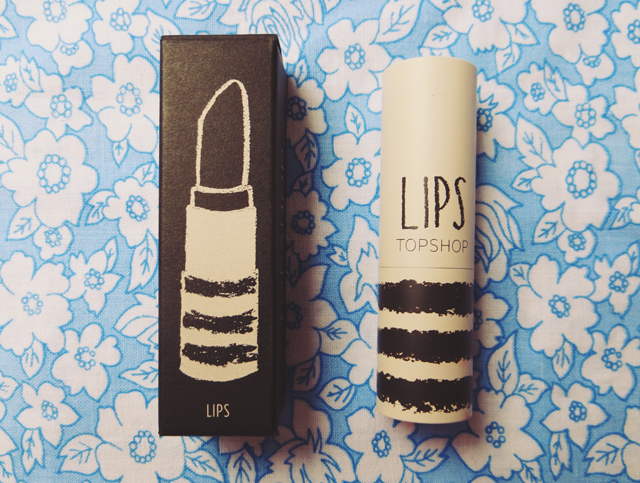 I really need to try Topshop's makeup range. The packaging is so so pretty and they seem to work quite well. You have the most beautiful eyes! and I always love what you do with your hair. I say this in a non-creepy way. The colour looks great on you and the packaging is beautiful, which is always a bonus in my opinion. such a lovely colour, im very into these shades lately, there's rimmel kate moss matte range in 109 and 110 similars to this topshop one, maybe check them out if you like it!